A brilliant adaption of Wagner’s epic setting of Norse legends of gods and men, giants and dwarfs, dragons and birds, condensed into one evening. 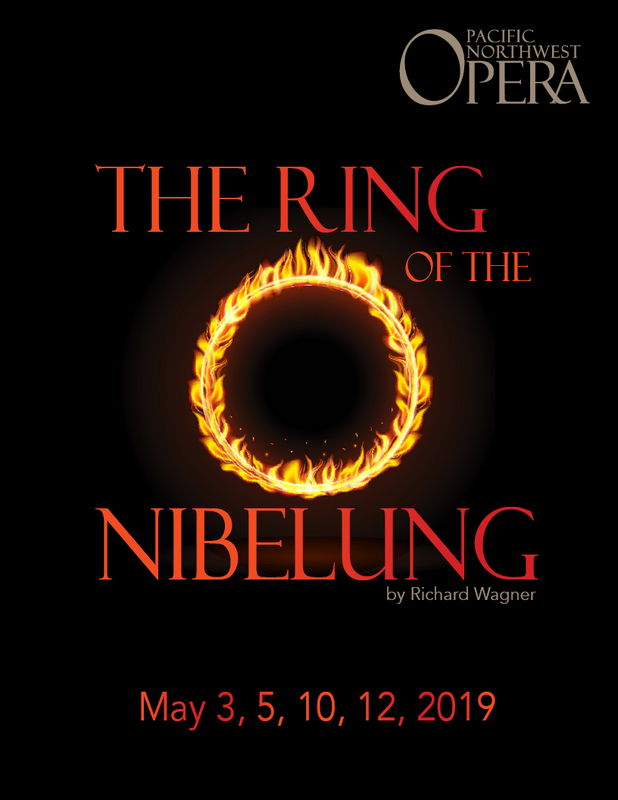 A perfect introduction to the majestic splendor of Wagner’s music drama, it is both a profound moral epic and a ripping great tale. Even those of you who don’t think you like Wagner will be elated and moved. In German with English supertitles. Friday, May 3, 2019, 7:30 p.m.
Sunday, May 5, 2019, 3:00 p.m.
Friday, May 10, 2019, 7:30 p.m.
Sunday, May 12, 2019, 3:00 p.m.
FREE - Performance Lecture begins 45 minutes prior to the show. Come early and hear about the performance, history, costumes, and more. Purchase tickets online at mcintyrehall.org Or call 360-416-7727. Two for one for ages 35 and under to Friday evening performances. Copyright 2018 Pacific Northwest Opera | Photography by: Michelle Doherty Photography - unless otherwise noted.